Dear All, Embrace Yourselves for Startup Lahore! Startup Lahore is a 2-day conference to be organized in Lahore, bringing together the finest angel investors, entrepreneurs, mentors, speakers, tech companies, accelerators and media onto one platform. Startups will have access to a network of local and foreign investors as well as mentorship and training sessions. The event is a perfect opportunity to see and engage with the Pakistani startup ecosystem first hand. This is an initiative to shape the technology entrepreneurial landscape of Pakistan through activities that will stimulate entrepreneurship in youth, startups and corporations at the same time. Startup Lahore will be held on the 26th & 27th January 2017 at Arfa Software Technology Park, Lahore with over 3000 attendees, 150+ startups, and 30+ investors. 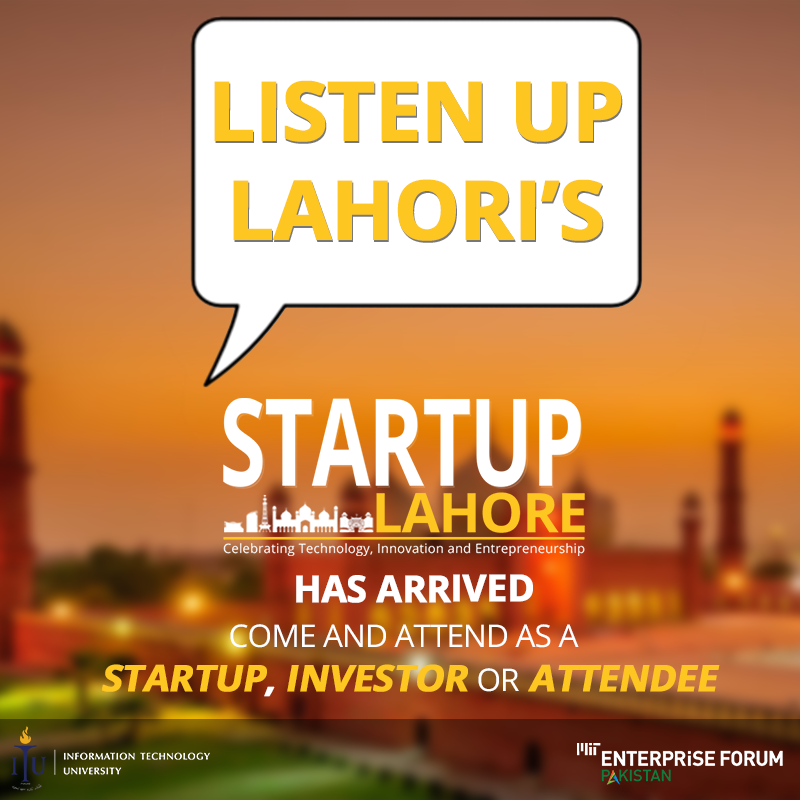 Interested persons can purchase Attendee, Startup or Investor passes through the Startup Lahore website. All of the pass holders will have access to workshops and seminars. Dr. Umar Saif, Chairman of PITB and Vice Chancellor of ITU stated that “In the last decade, Lahore has transformed itself into a technology hub. 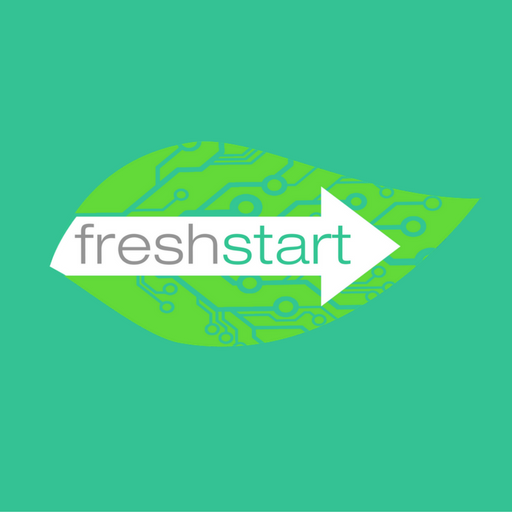 With our startup and investor eco-system building up steam, Startup Lahore has come about at an opportune time. This will be a fantastic opportunity for all entities to network and showcase our talented community”. One of the key activities under Startup Lahore, is Startup Rumble, a platform which will allow entrepreneurs to submit a business idea online in 350 words with a short description of their team. All this information will be available for public viewing and scrutiny. We have incorporated a voting system to make the platform more interactive and to maximize its reach to the public. The forum on the website will allow people to interact with each other and comment on different ideas. By doing so, founders have the opportunity to tweak their business ideas accordingly. The finalists will be chosen based on the highest number of votes, the commercial viability of their business idea and the strength of their team. The selected teams will be invited to Lahore where they will be expected to present their ideas as well as a detailed business plan in front of a jury and a large audience. The top teams will then be selected for the prize money. The winners of Startup Rumble will also be given the opportunity to be accelerated at the PlanX accelerator (depending on the startup stage they are at). Applications are now open for Startup Rumble, all interested groups can apply here: http://mitef.pk/startuprumble/. MIT Enterprise Forum Pakistan (MITEFP) which is a global organization of dedicated professionals affiliated with the Massachusetts Institute for Technology (MIT) through MIT Technology Review. MITEFP is one of 24 worldwide chapters looking to engage stakeholders of the entrepreneurial ecosystem and make a difference through innovation and technology. MITEFP is dedicated towards stimulation of growth of Pakistani entrepreneurs, startups and businesses.